The UK Apple Watch comes with a different plug than the one in the US and in other countries and Apple has come up with a great idea to redesign the UK standard plug. Apple has turned a standard UK plug into a collapsible one, have a look at the video below from Ben Lovejoy of 9 to 5 Mac. 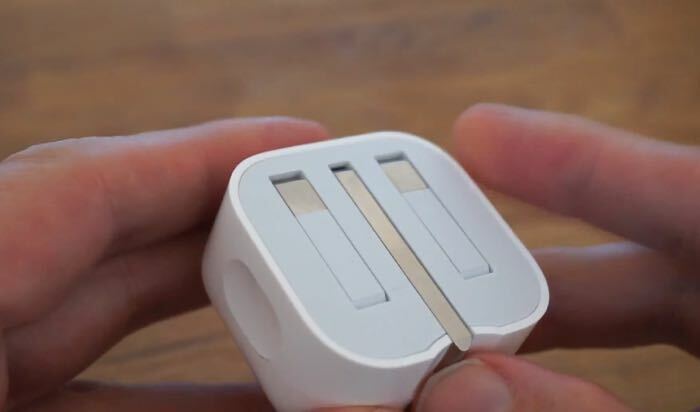 As you can see from the video, the UK plug is easily collapsible and this would make it ideal for traveling, we wonder if Apple will use this new plug design on all of their devices in the UK. The Apple Watch launched in the UK, the US and a number of other countries last Friday, although you cant actually buy the device in Apple stores at the moment, it is expected to be made available in Apple retail stores in June.